A woman's idyllic life becomes a deceptive hall of mirrors in a thriller of exquisitely constructed psychological suspense by A. J. 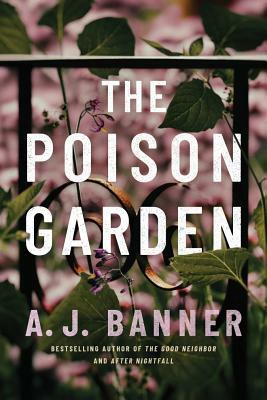 Banner, bestselling author of The Good Neighbor. Elise Watters seems to have it all--a blissful marriage, a gorgeous Victorian home surrounded by lush gardens, and a dream job running her late mother's herbal boutique. But on the eve of her first wedding anniversary, Elise makes a shocking discovery that turns her life upside down and casts doubt on everything she thought she knew--about her marriage, her friends, and even herself. As she treads into dangerous territory, Elise is forced to wonder: Is her whole future at stake? Or is paranoia getting the best of her?